As cannabis infused recipes go, cannabis banana bread is probably one of the most popular. As well as being delicious it is surprisingly easy to make. Banana bread is a type of bread made from crushed bananas, a quick bread with no added yeast. Banana bread is actually more of a cake than a bread, and some enterprising chefs found that cannabis and banana bread make an extraordinary combination together. 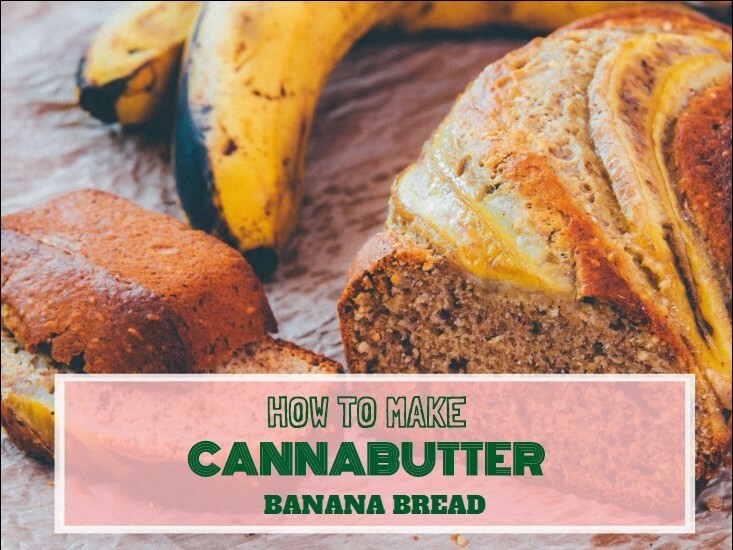 The following is a recipe designed to make banana bread using cannabutter, the most versatile and useful type of medicated cannabis. Cannabutter plays a role in nearly all weed edibles, more than its main competitor, medicated oil. This recipe is assuming that you have already bought Cannabutter from the store or have made a batch yourself. Making cannabutter is actually more difficult than making most cannabis recipes, as most regular recipes can be made the same way with the slight addition of cannabutter. This recipe involves a little bit more effort than other cannabis recipes but is definitely worth it. Place the cannabutter in a place with room temperature. It needs to be able to melt s it can be added to the recipe more easily. Put the peeled and cut bananas into the first bowl, and mash the bananas up with a spoon or fork. Add 1 tablespoon of milk to the bowl and continue to mash the banana. Now put the cannabutter and sugar in the second bowl. Cream them together using a whisk.Once the mixture in the second bowl is creamed together well, add eggs and continue to whisk the mixture. Add the eggs one by one and whisk in a circular motion to make the mixture as smooth as possible. Now add vanilla extract, one teaspoon of baking soda, one teaspoon of baking powder, one teaspoon of ground cinnamon and one teaspoon of salt to the mix. Whisk it all together. Add the two bowls together and whisk well. Add the flour and again whisk it together. You can add a little bit more milk if the mixture is too dry. Now add the chocolate chips and the walnuts and whisk them all together. The difficult part of the recipe is over, and now you just insert it into the oven and wait for it to cook. Preheat the oven to 160 degrees C. Grease up the bread pan and add the mixture. Leave the mixture bake in the oven for around an hour or so. Pierce it with a knife to make sure it is finished. Nothing should stay on the knife if it is complete. When the banana bread is cooked, remove it from the pan and leave it sit on a wire rack for another hour. Your cannabutter banana bread is now ready for eating. Enjoy!